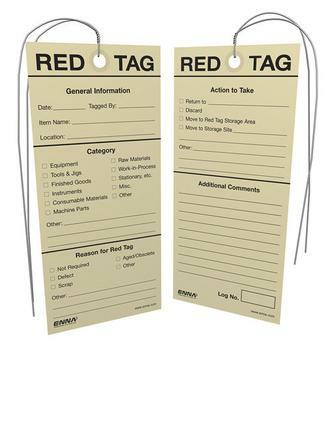 Ennaâ€™s ISO 5S Tags are designed to be incorporated into your ISO Standardization Program. These tags are the starting point for the 5S Sorting portion of process standardization and are essential in launching improvement initiatives. Our ISO 5S Tags come in packages of 100 tags and are printed on Manila-colored paper to insure no color-coding conflict with ISO 9000 and all other ISO programs. We have also included a tag log number that can be utilized as the ISO form identification code for documentation and tracking for ISO programs.